Republican state Reps. Bob Cortes and Bobby Olszewski spent huge amounts on local television in the third week of October, fueling their broadcast campaigns that began last week to power their re-election bids for in their House Districts 30 and 44. 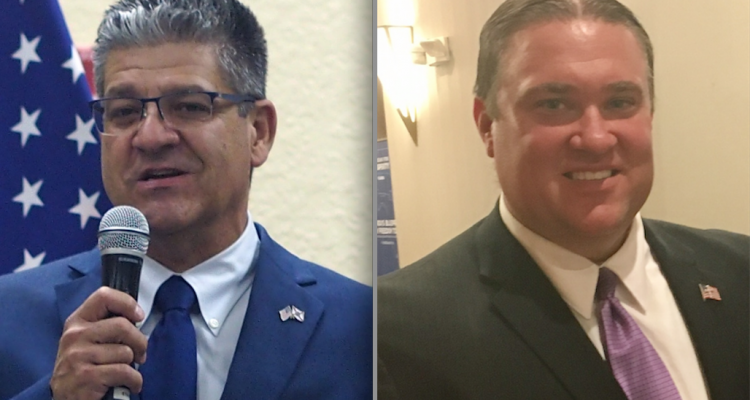 The latest campaign finance reports, running through Oct. 19 and posted by the Florida Division of Elections late last week and Monday, show several Orange County House candidates cutting loose their money to power mailers and TV ads during the last three weeks, signaling which races have incumbents worried and challengers hopeful. 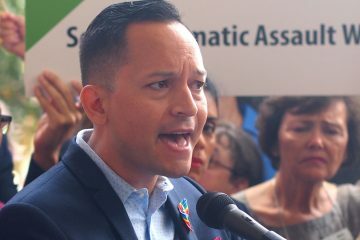 Cortes topped all Orange County candidates’ in spending, as he launched commercials on English- and Spanish-language TV and radio to go along with mailers, by spending $171,000 in the week ending Oct. 19. He still has almost $55,000 left. His Democratic challenger in HD 30, which covers a piece of north-central Orange County and a larger area of south-central Seminole County, Maitland City Councilwoman Joy Goff-Marcil, did some robust spending of her own, but the $14,855 she spent was dwarfed by Cortes’s expenditures, and bought her mailers, not broadcast advertising. She had about $7,000 left on Oct. 19. Olszewski’s spending in the week ending Oct. 19, $73,000 in total, is more than his Democratic challenger, former state Sen. Geraldine Thompson of Orlando has been able to raise throughout her HD 44 campaign, thusfar. Olszewski, of Winter Garden, raised $7,200 during the week and has received $198,035 overall. Even with his big spending last week, he had $78,000 left in the latest report. Thompson raised $6,851 last week and spent $4,211. Overally, she’s raised $54,000 and had about $17,000 left on Oct. 19. In House District 47 Republican nominee Stockton Reeves and Democratic nominee Anna Eskamani have been going full-tilt, spending hundreds of thousands of dollars each over the past several weeks with both mailers and TV advertising. Both of their campaigns still are pulling in big dollars and have plenty left to spend for the open seat in north and central Orange County, including downtown Orlando. 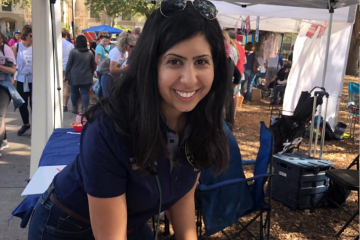 Eskamani, of Orlando, whose campaign fund and independent committee People Power have collected $500,000, spent $23,984 last week. Her campaign and the People Power for Florida committee have spent more than $443,000 through Oct. 19. Reeves, of Winter Park, meanwhile, spent $37,217 last week, and has spent $153,217 overall. That does not include robust but still undisclosed support he has received from the Republican Party of Florida. The party has put its money behind several ORlando TV commecials and mailers attacking Eskamani and supporting Reeves in recent weeks. In House District 50, in far eastern Orange County, Republican state Rep. Rene Plasencia of Orlando spent $28,504 in the latest-reported week, and raiased $23,750. He’s now raised abou $248,000, most of that leading up to his Aug. 28 Republican primary victory, and has about $25,000 left. His opponent, Democrat Pam Dirschka of Titusville, has raised about $13,500 and spent about $9,200, leaving her with about $4,000 to campaign. In three other Orange County contests, incumbents have plenty of money but haven’t seen the need to spend much of it yet, at least through Oct. 19. In House District 31, covering northwest Orange County and much of north Lake County, Republican state Rep. Jennifer Sullivan of Mout Dora is sitting on most of the $111,645 she has raised to face a challenge from Democratic nominee Debra Kaplan of Eustis. Sullivan spent $1,539 last week and has dropped $43,499 overall. Kaplan has raised just $23,791, and has spent all but about $2,000 of that. 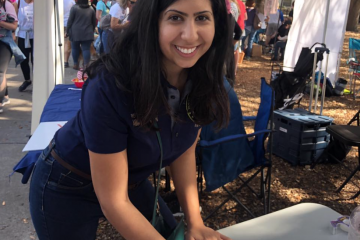 In House District 48, Democratic state Rep. Amy Mercado of Orlando spent a few thousand dollars here and there throughout the summer and early autumn, but not lately. She spent $103 last week, and has about $33,000 left. Her Republican challenger George Chandler finally has a little money, but not much for the district covering much of southeast Orange County. The Republican Party of Florida gave him $5,000 in the week of Oct. 19, lifting his campaign total to $8,200 in overall contributions. He’s spent about $2,690 of that, including $200 last week. In House District 49, covering northeast Orange County, Democratic state Rep. Carlos Guillermo Smith spent $8,337 during the most recently-reported week and $67,156 to date. He also raised $12,931 during the week of Oct. 19, so he’s raisaed $165,810 overall and has about $97,000 left. His Republican opponent, Ben Griffin of Orlando, was initially staked $50,000 by the Republican Party of Florida, but he has neither added much to that nor spent much of it. Last week he spent $192. To date he’s raised $62,290 including the RPOF money, and still has about $45,000 of it left.